Full spectrum (6400K) grow lights to replicate natural sunlight for year round growing. 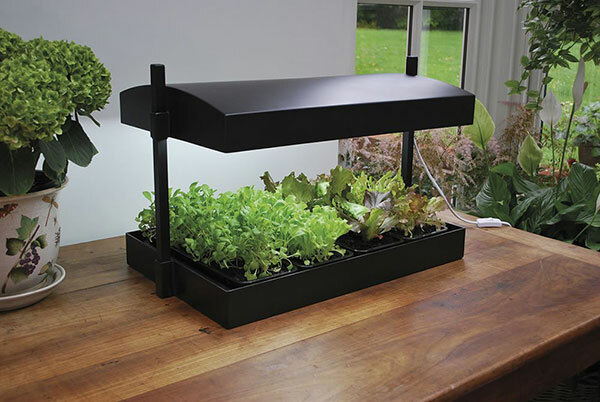 Ideal for growing salads and herbs or for early season starting of seeds. You can also use the Micro Grow light Garden to boost flowering plants out of season.The canopy height can be easily adjusted up to a maximum of 38cm from the base to give optimum plant growth. Supplied with 4 reusable growing trays for easy succession planting. Manufactured from 100% tough recycled plastic and aluminium.